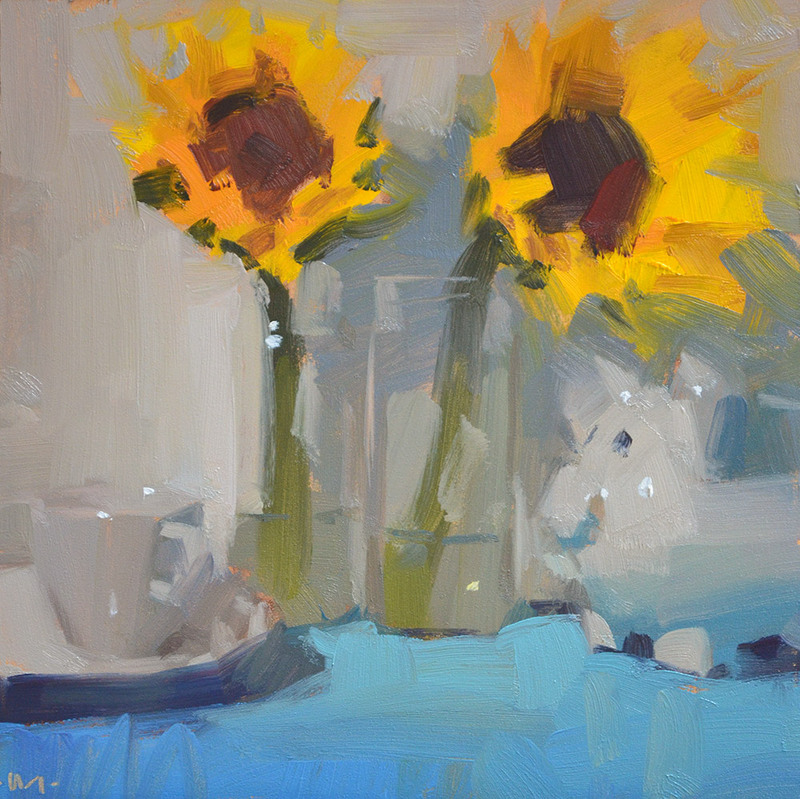 Here's another of my sunflower studies. The pig just snuck in there last minute. Stinker.